Sloane Veshinski has provided individual, couples and family counseling services for over 30 years, working in the mental health and addictions field as well as in Administration and Higher Education. She is a Licensed Marriage and Family Therapist, Master Certified Addictions Professional (MCAP), Parent Coordinator, and Florida Supreme Court Certified Family Mediator. Her specialty area is that of conflict and conflict resolution for individuals, couples and families, utilizing a holistic strength-based model of treatment. Sloane received her Bachelors degree from Penn State University in the area of Individual and Family Studies; her Masters degree from Nova University in Systemic Marriage and Family Therapy, and her Ph.D. in Human Services with a specialization in Counseling. She also received training at Hanley-Hazelton Treatment Center for her certification as an addiction professional. Sloane is recognized as a Clinical Fellow of the American Association for Marriage and Family Therapy and an Approved Supervisor for Mental Health Counseling and Marriage and Family Therapy interns in the State of Florida. Sloane has been published in the area of Divorce and Child Custody Assessments as well as Teen Gangs in Israel. She has presented on a variety of topics throughout the state for over 20 years. She is Past President of both the Broward and Dade Chapters of the Florida Association for Marriage and Family Therapy, Past Secretary for the Broward and Florida Associations for Marriage and Family Therapy, and Past Treasurer for the Broward Association for Marriage and Family Therapy. Sloane currently serves on the Board for Advocates for Citizens Association, supporting parents of murdered children and those affected by violent gun crime. 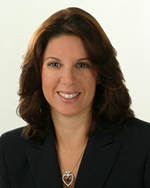 Sloane has been recognized by the Florida Association and Dade Association for Marriage and Family Therapy, the Association for Family and Conciliation Courts and several counseling-related organizations at Barry University, where she was a director and educator, for her commitment and dedication to the field of Marriage and Family Therapy. She has also been recognized as a dedicated professional by the Broward Association for Marriage and Family Therapy, Florida and by the "Dr. Phil Show" as a referral source in South Florida.